Headquartered in Decatur, Alabama, Freight Zone Logistics, LLC is a full-service transportation logistics company, providing freight brokerage services and shipping consulting for clients throughout the contiguous United States and Canada. The company connects shippers and carriers, utilizing more than 1,000 carriers in the United States, providing truck load and less than truckload (LTL) services. Additionally, Freight Zone Logistics helps carriers maximize profits by providing transportation consulting in areas such as lane optimization, fuel optimization, and profit/loss. In addition to shipping logistics, Freight Zone Logistics provides intermodal assistance, with locations situated throughout the United States and Canada. 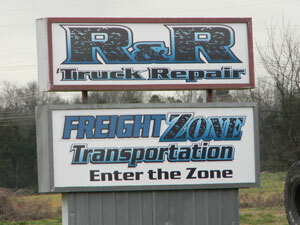 The company also offers UPS, FedEx, and small package audits of freight bills. The founders of Freight Zone Logistics, Ron Spivey and Rick Tait, have a combined industry experience of 56 plus years within the trucking industry.